Lake Kivu is divided into two fingers that run along the Democratic Republic of Congo&apos;s border with Rwanda. 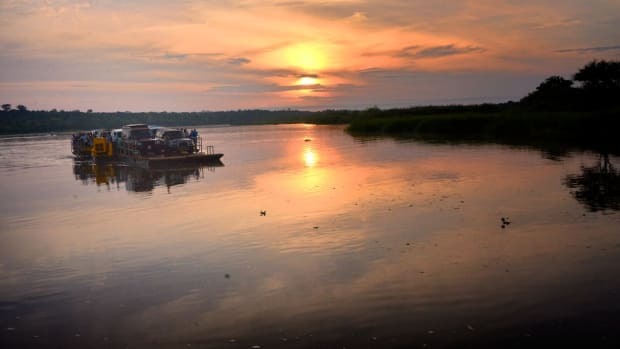 It is one of the African Great Lakes, a series of lakes in the eastern part of Africa&apos;s Rift Valley, and is home to the world’s 10th-largest inland island. It is a beautiful place where the color of sea and sky are often so close that it is impossible to discern a horizon. And at any moment, it could explode. A hut at Paradis Malahide on Lake Kivu will cost you $70 a night. It’s a small hotel on the Rwanda side of the lake, just outside of Gisenyi and a welcome respite for adventurers who have just come from hiking Volcanoes National Park, or for those looking for a few days of R&R before entering the DRC for a trek to visit the mountain gorillas. The latter is what drew my husband and me there, and we spent four days on the lake. Rwanda’s land is famously fertile, and the area around Lake Kivu is no exception; among the goods sold at a local Monday afternoon market were homegrown bananas, sweet potatoes, tomatoes, kale, chard, and small, silvery fish called sambaza that made deliciously salty snacks when fried. The sambaza were caught by the night fishermen who paddled out just before sunset every day, chanting and singing to keep their oars in sync until they found their spot and shone flashlights on the water to attract the bugs that attracted the fish. Women carried loads of laundry on their heads from the village down to one of several beaches to wash in the lake, and on the same beaches, teenagers bathed in raucous groups. Lake Kivu is full of promise for Rwanda’s future. It is saturated with methane gas that, if extracted properly, can be used to power a country where only 20 percent of residents have electricity. But the same lake that could hold the key to modernization is also one of the country’s biggest threats. Like the other two “killer lakes” in the world—Lake Monoun and Lake Nyos, both in Cameroon—Lake Kivu sits near a chain of volcanoes whose nearby springs pump carbon dioxide into the water. 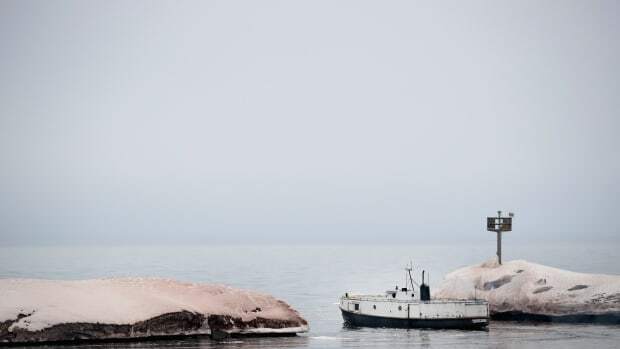 Under normal conditions, that gas and any others found in the lake, such as methane, sit under an enormous weight of pressure from the water above. As a result of the water pressure, the gases essentially dissolve and saturate the lake’s deepest waters. In the lakeside town of Nyos, only six people survived that night. Because CO2 is denser than air, it hugged the ground in low-lying clouds and killed the villagers while they slept, like a malevolent blanket. That gas, when disturbed, can wreak fatal havoc. This is what happened at Monoun and Nyos in the mid-1980s—38 people died on the shores of Monoun, and 1,700 around Nyos. Lake (or limnic) overturn occurs when the gases at the bottom of a lake are disturbed and rise to the surface, creating a deadly fog that kills or knocks unconscious anything in its path. It’s a little like what happens when you open a bottle of fizzy water—the pressure of having the lid on keeps the gas in place. It’s only when you unscrew the lid that things get dangerous. At Lake Nyos, Haraldur Sigurdsson, a scientist sent in by the United States government to make sure this mysterious phenomenon was not the result of biological warfare, said: “I realized that the only explanation that was viable was the carbon dioxide burst.” He and his team concluded that a landslide had likely triggered the limnic overturn: Rocks from nearby mountains crashed into the lake, penetrating its deepest layers and disturbing the delicate balance of gasses. The water foamed and spouted up out of the lake, effervescent and deadly; the resulting cloud of gas traveled fast enough that the villagers who died did so quickly and quietly. In the lakeside town of Nyos, only six people survived that night. Because CO2 is denser than air, it hugged the ground in low-lying clouds and killed the villagers while they slept, like a malevolent blanket. “The thing was white, white like cloth,” a resident said. “It didn&apos;t go up in the air, it mostly went down near the ground.” The lake had exploded. 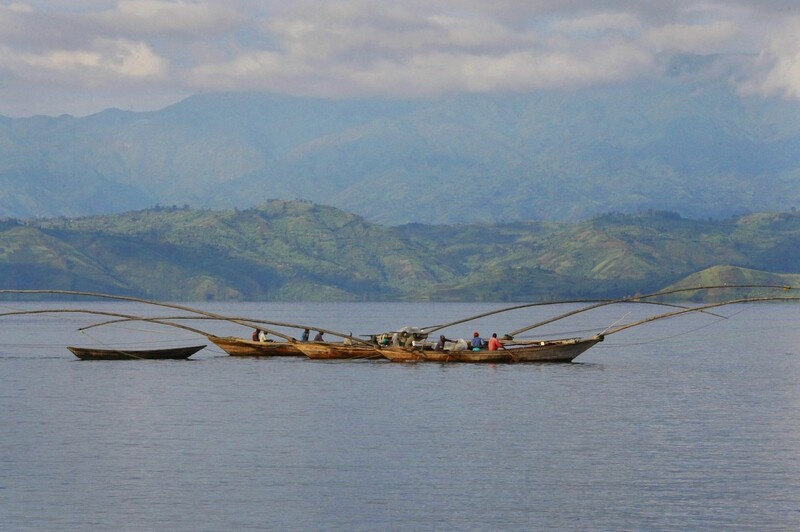 Lake Nyos covers roughly 1.5 square kilometers; Lake Kivu, 2,700. Two million people live on its shores. The scale of disaster there would be exponential compared with what happened at Nyos—potentially greater, even, than the death toll of the Rwandan genocide, which is estimated to have taken between 800,000 and one million people. Lake Kivu first came to global attention when it became a dumping ground for bodies during the genocide. Some of the dead had been slaughtered; others had died from cholera at overcrowded refugee camps where Hutus still terrorized Tutsis. 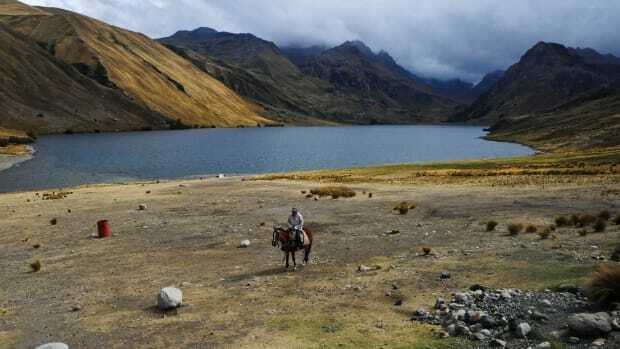 The same lake that held the cholera bacterium became the indispensable source of drinking water a few weeks later when American troops arrived with a giant purifier. The First and Second Congo Wars in the late 1990s and early 2000s took millions of lives and were largely ignored by the international community; the wars also re-kindled several other smoldering conflicts in the area. The placid scene at Kivu today belies its ugly history. When we were there, my husband and I spent hours reading at a table by the lake, drinking Primus beer, and watching fishermen paddle out. A group of teenage boys swam out one afternoon to bathe, and we listened to their chatter while we read. The loudest one started singing: “So what we have fun? So what we smoke weed?” His friends laughed and splashed him. “I am Jean-Paul!” he yelled. “This is my empire! I live forever!” Teenage boys believe in their own invincibility everywhere, even in the middle of exploding lakes. Lake Kivu has exploded many times before. Geologists estimate that it happens once every 1,000 years, give or take, and they cannot easily predict when the next explosion will happen. Many in the scientific community began keeping an especially close eye on the region when nearby Mt. Nyiragongo erupted in January 2002, sending lava into Lake Kivu from both above and below ground, where the eruption formed a tunnel carrying magma under the lake. The border town of Goma in the DRC was nearly buried, and now much of Goma sits 12 feet above its 2002 level, buried in gray volcanic rock. 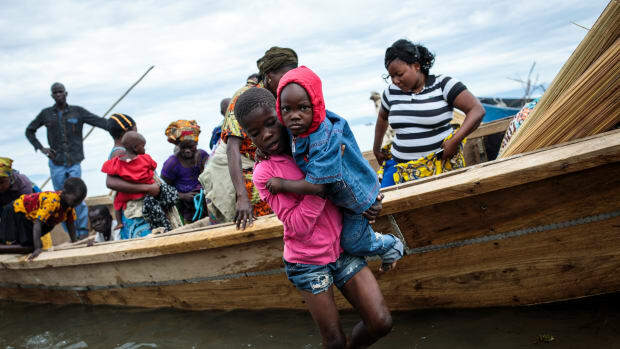 Dozens of people died and hundreds of thousands fled for more stable land, which is hard to come by in eastern DRC, where rebel groups roam the region and the chaotic spillover from the 1994 genocide has resulted in two wars and hundreds of thousands of deaths. The kingfisher arrives around sunset to eat his dinner with a view and the night fishermen paddle out in their three-part boats lashed together with local wood, singing in unison to keep their rowing in sync. Against the backdrop of this tenuous relationship, Rwanda and the DRC are trying to find ways to cooperate on the only solution for their shared problem: De-gassing Lake Kivu. Rwanda, which has seen an influx of international aid in the years since the genocide, will be able to shoulder more of the financial burden than its neighbor to the east. In a country where nearly 80 percent of the population lacks electricity, harnessing methane gas would be a popular move in Rwanda. Not so much in the DRC, where local rebel groups run a black market for charcoal that brings in millions of dollars a year. Some Rwandans who fled their home country to escape punishment for their role in the genocide have ended up leading these militia groups in strikes against the Congolese government; the resulting scuffles have led to a trying relationship between Kinshasa and Kigali. The restaurant at Paradis Malahide comprises six or seven tables at a gravelly point on the shores of Lake Kivu, overlooking the resort’s privately owned island and a Catholic church where the faithful meet to sing hymns late into the evening. The kingfisher arrives around sunset to eat his dinner with a view and the night fishermen paddle out in their three-part boats lashed together with local wood, singing, as usual, to keep their rowing in sync. The food at Malahide comes on wooden plates shaped like tilapia, with eyes that look up at you while you eat. Emanuel, a Gisenyi native with a frog-like ribbit of a voice, was one of a handful of waiters whose physical speed—he ran everywhere in between taking orders for fusilli and goat brochettes—did little to accelerate the snail’s pace at which food was served. In between laps from the table to the kitchen, he would stop to make small talk. “Your English is so good,” I told him. “Really? !” he asked, his eyes widening. “I try to take an English dictionary to read when I sleep, but then....” he mimicked dozing. We laughed. The lake turned silver as the sky turned pink. “Rwanda is so beautiful,” I said the next night. I told him I thought so, and then I pointed to the methane extraction platform out in the lake. “It would be a little bit better without that,” I said. He regarded me with some suspicion, like I might be trying to sell him on a myth. “We do not think about that too much,” he said. He ran back to the kitchen. The methane extraction platform, part of a larger project called KivuWatt, is 3,000 tons of steel and concrete anchored 13 kilometers off the coast of northern Lake Kivu in Rwanda. It works by drawing water from what are known as the Upper and Lower Resource Zones—from 270 to 500 meters deep—where the bulk of the methane, around 65 million cubic meters, lies. The saturated water travels up one of four plastic tubes, much like water in a straw, and gas bubbles start to form, at which point they are separated from the water and siphoned into a different chamber. At this point, the de-gassed water is sent back down to the bottom of the lake while the gas travels to its own separate chamber. From there, the gas is pressurized and sent away to a power plant, where it will be packaged and sent out again to power homes and businesses across Rwanda. With gas extraction, though, there are never any guarantees. 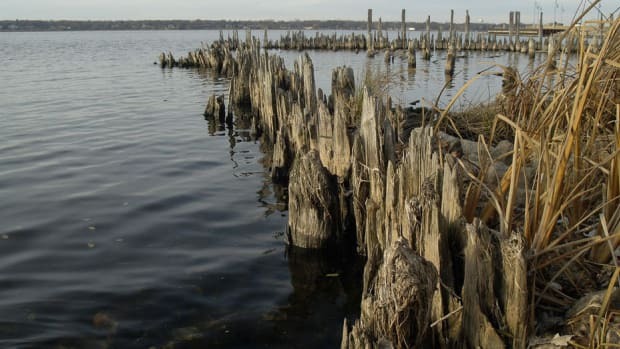 The gas that is siphoned out of the lake is composed more of methane than of carbon dioxide, as engineers prioritize energy extraction over de-carbonization; it will take years before the lake is de-gassed to the degree that it is no longer a threat. Re-injecting the water at different levels also poses problems. “Once you punch through those gradient layers, you start damaging the protective mechanism that the lake has to preserve itself,” Philip Morkel, a South African engineer who was part of the committee that wrote guidelines for de-gassing Kivu, told Technology Review. That protective mechanism is also important for fishermen whose livelihood relies on a stable ecosystem in the lake. Ruin that, and even without an event as dramatic as limnic overturn, you’ve taken away a crucial stream of income that supports Lake Kivu’s thousands of fishermen. KivuWatt has also seen an influx of investment from foreign counties like Sweden, the United Kingdom, and the Netherlands, which could bode well—or could further complicate their already convoluted relationship to foreign money. Last week, Chile suffered an 8.3-magnitude earthquake. Entire towns have been decimated in the Lake County fires in northern California this month. It might be easy to imagine that the two million people who inhabit Lake Kivu don’t comprehend the threat they live with every day. Perhaps they could pack up their belongings—their yellow jerrycans and secondhand T-shirts—and move somewhere safer, like San Francisco. Here, they will only have earthquakes to contend with, and fire, and droughts. They could move to Suriname to be berated by wild storms and hurricanes, or hide from tornadoes in Bangladesh. Exploding lakes, it turns out, are everywhere. They just go by different names. Eliminating the pollution from industry requires a lot of time, money, and effort on the part of local groups, states, and federal entities.